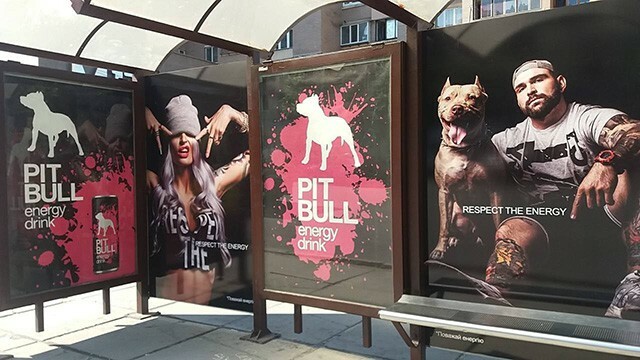 In May a PIT BULL™ energy beverage outdoor promotion campaign kicked off in four Ukrainian cities – Kyiv, Dnipro, Kharkiv and Lviv. “Brand’s promotion, as usual, enchanting and bold has emerged at 28 bus stops country–wise. The characters of the trendy photo–story are young people, who care about drive, energy, freedom of choice and new thrills,” commented New Products Group PR-director Elena Selyutina. The promotion materials announce Ukraine’s biggest hip-hop competition – an Internet-battle of the best PIT BULL Battle 3 musical tracks with a prize fund of UAH 40 000. Both solo performers and teams can take part in the online-competition. The battle finals will be held 23 October. The PIT BULL™ promotion campaign will run through July.